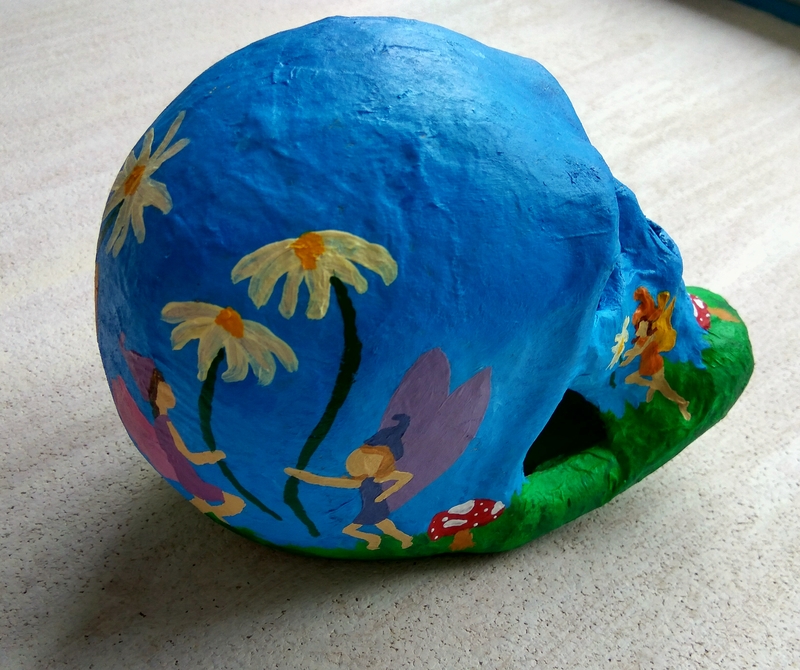 In a nod to the 10th anniversary of the start of Noah Scalin’s Skull-A-Day challenge (which inspired me to do this in the first place!) I tried to add a fairy twist to the occasion. 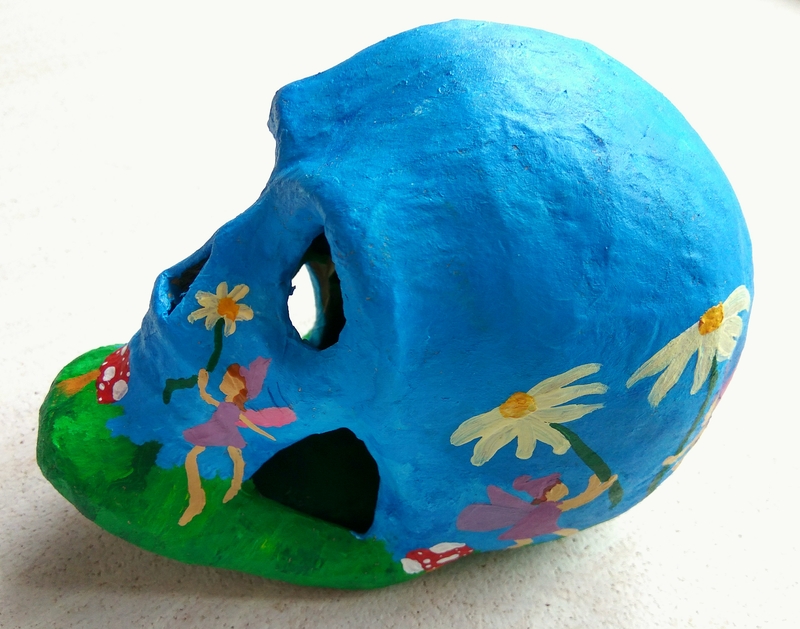 I had a mini decopatch skull which I painted using acrylic paints inside and out. 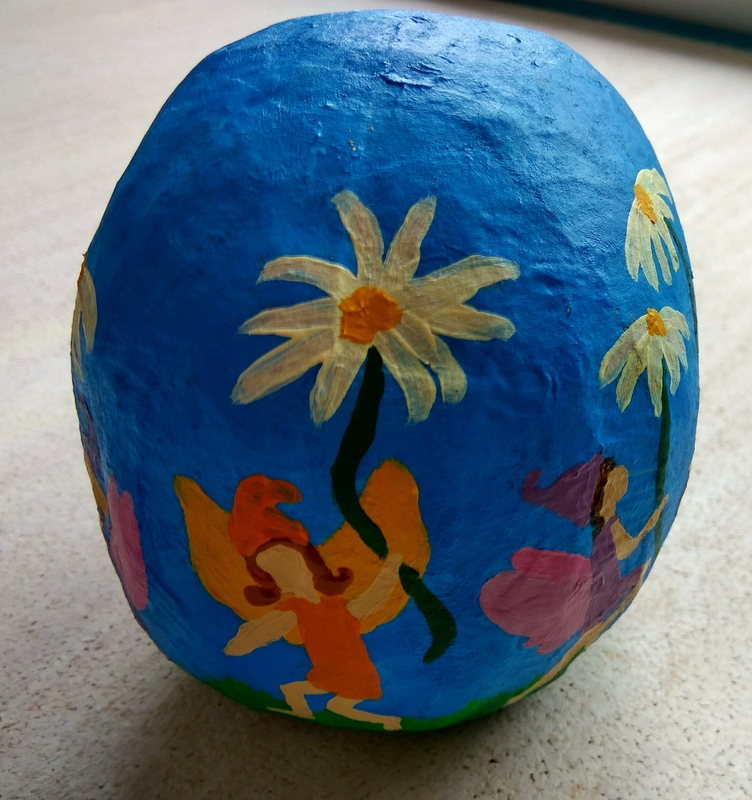 I chose to paint dancing fairies around the circumference, with toadstools too, of course. Thank you so much! I will do so now.